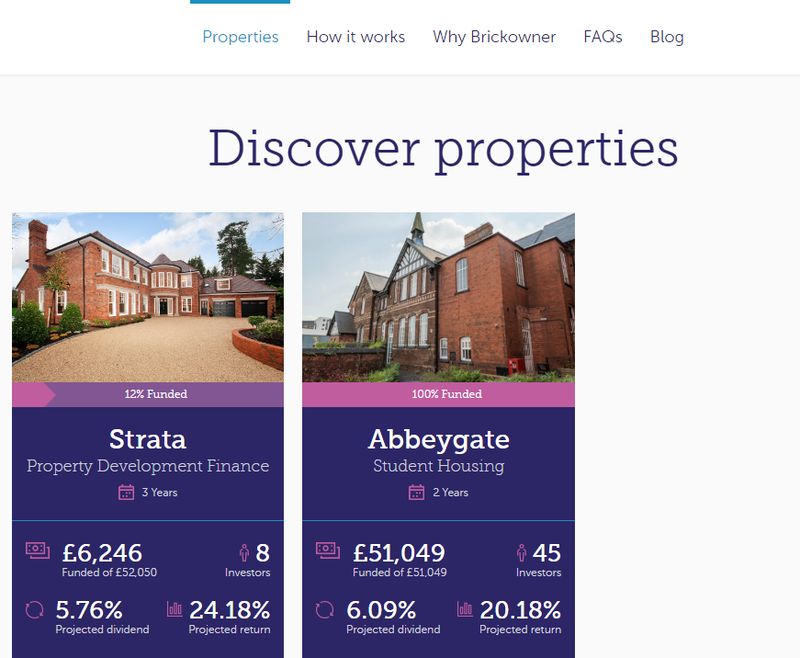 Brickowner is a recent addition to the UK Property Crowdfunding market. Like more established platforms The House Crowd, Property Partner and Property Moose, they allow investors to buy a share in individual property investments. Brickowner’s focus is on institutional investments: they buy a seat at the table on large, higher return property investment deals that would traditionally only be offered to institutions or high net worth individuals. They then offer smaller shares in this to retail investors from a minimum of £100. Sell Out: At investment maturity (2-5 years on average) or else through the Brickowner secondary market when it launches. New Customer Cashback: £50 for £1000 investment, see cashback page for more details. Brickowner aims to look at retail property investment from a different angle and decrease the fees charged. Many of the most lucrative property investments are larger investments managed by the best and most experienced property asset managers. Retail investors are unable to source and access these opportunities, often investments are prohibitively expensive and can require a single investment of £50-250k, making them ‘uninvestable’ as far as the majority of the UK is concerned. Brickowner firstly works to source these managers and opportunities. Secondly they act as an aggregator: by combining the funds of smaller investors through the Brickowner platform to meet an investment target large enough for the property manager to accept. In this way they allow investors who wish to invest smaller amounts to access and invest in property investment opportunities which they wouldn’t otherwise be able to. Once the secondary market is launched investors will be able buy in and cash out when needed, rather than locking themselves into the entire investment term. I asked Brickowner about the secondary market: they told me that the functionality is already built but they are waiting for higher volumes before they launch it. In exchange for this they charge a 3% upfront fee, and a 1% ongoing management fee. Fees given to the best of my knowledge as of 13th March 2017, with no clear data for The House Crowd. Please confirm with individual platforms before making an investment. 1% of total investment is £1,000 per year. 10.5% (+20% VAT) of rental income is £100,000 x 6% x (10.5% x 1.2) = £756 per year. Brickowner aim to deliver a total net return of 8%+. Their first property investment projects a 10% annual return over 2 years, and the second investment a projected 8% annually over 3 years. In these two investments the net dividend yield was around 6% with the remaining return from capital growth. From this you can click into a more detailed page with a background to the investment, a background and the financial breakdown. Q: How are new investments announced? All investments will be announced via a “coming soon” notification on the platform, with a further property introduction to all users via e-mail, we have also raised interest with a number of bloggers, so we expect some announcement there when a property peaks peoples interest! Q: Deposits/Withdrawals: is there a fee? Can you deposit with card? A 3% up front platform fee for all investments. A 1% annual fee for management administration and running costs for each investment. Fees are charged on invested equity. Users can deposit via debit card and bank transfer. For our secondary market (when it launches), there will be a fee of 0.5% passed on, charged to Brickowner to register the share transfer. Q: What happens if Brickowner Limited runs into financial difficulty? All un-invested money is kept in a separate account from the assets of Brickowner in order to separate and protect our customer’s money. All invested money is held by a separate company which can be managed by a separate financial manager in the case that Brickowner stops trading. Q: Is there a tax statement function that I can use to easily provide to HMRC? We are planning to give users access to this function by May this year, to support our investors tax returns. This extract will download as a pdf for submission on the HMRC portal. Q: Can foreign investors use Brickowner or is it UK residents only? Whilst Brickowner only markets to UK investors, we allow foreign investors to join the platform apart from US investors- due to legal complexities. Q: What is the experience of the management team? Fred Bristol: Spent the last 7 years investing in & managing property in East Anglia & East Midlands, with a 14 year track record of property investment & management. Fred founded Brickowner in 2015. Tobias Stone: Previously founded Newsquare Innovation- a company that implements innovation tools to build ecosystems in specific sectors of technology, and to accelerate innovation within those ecosystems. Clients including Bayer, NHS England & the Government of Estonia. Toby is successful entrepreneur and has successfully delivered/mentored and advised a number of successful start-ups. Maulik Sailor: Maulik was the founding CTO of Landbay, the P2P platform now backed by Zoopla. He has previously build P2P platforms, payment wallets & ecommerce market places. 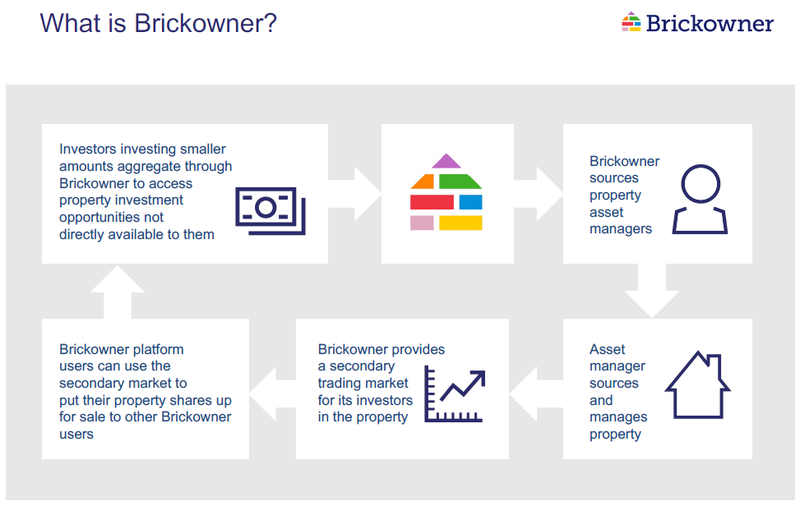 Brickowner joins the property crowdfunding market post-Brexit with a strategy they hope will bring investors returns of 8% or more. In a show of confidence they successfully raised £100k through Seedrs back in July and are almost doubling their valuation in a second funding round taking place as I write. They’re focusing on a corner of the market which they feel is straight forward and lower-cost: offering a share of traditional institutional property deals to general investors. I think this take on property crowdfunding is smart: once they’ve built a pipeline of opportunities, it’s easier to scale the business through buying a larger share of institutional deals than sourcing new BTL houses. Brickowner offer a generous £50 cashback for new customers on a £1,000 investment, which would increase their expectation of first year returns from 8% to 13%. They’re new, so there’s little in the way of user reviews or historical earnings after fees. Net returns of 8%-10% sound great but it relies on the experience of the Brickowner team. It’s a similar story with the secondary market, you have to trust Brickowner that they will release this soon. Institutional deals are potentially harder to understand than the buy-to-let investments seen on other property crowdfunding platforms. The platform still has a long way to go. I initially understood it as a direct competitor to Property Partner but it seems that it’s providing funding to developers as well. These are clearly 2 different beasts, the former relatively being low risks and latter higher risks where you could lose all your investments should the project fails to deliver as the assets are secured to the senior lender. Project delays due to poor management will be translated into return at the end of investment so this is not something to be taken lightly. I would avoid this website for now until its clear purpose is established. Putting equity into a development project is high risk compared to investing in debt where it ranks higher in the event of a default. Furthermore, your return is ascertained upfront and not “subject to change”.